Mary Helena Lynes was born 30 June 1861. She married Elijah F. Donehoo just a few weeks before her 28th birthday in Fulton County, Georgia. 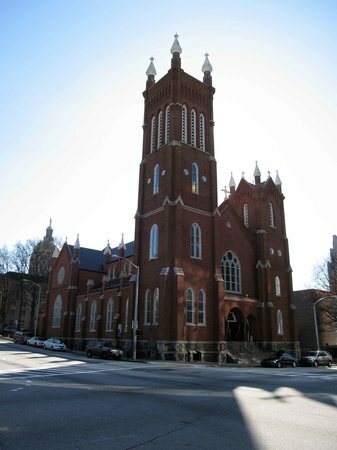 The marriage was a short one, ending with the death of Mary a few years later on the 31st of December, 1892. 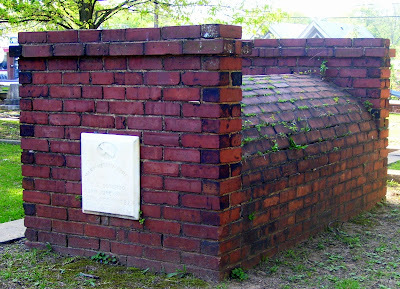 Her colonial brick tomb is at Oakland Cemetery at Atlanta, GA. I'm from the Northeast and I've never seen anything like that burial tomb. Is that as uncommon as it looks? It's fairly uncommon here in my part of the southeast, but I wouldn't go as far as rare. The older the cemetery, the greater chance of seeing them. -- Thanks for stopping by!